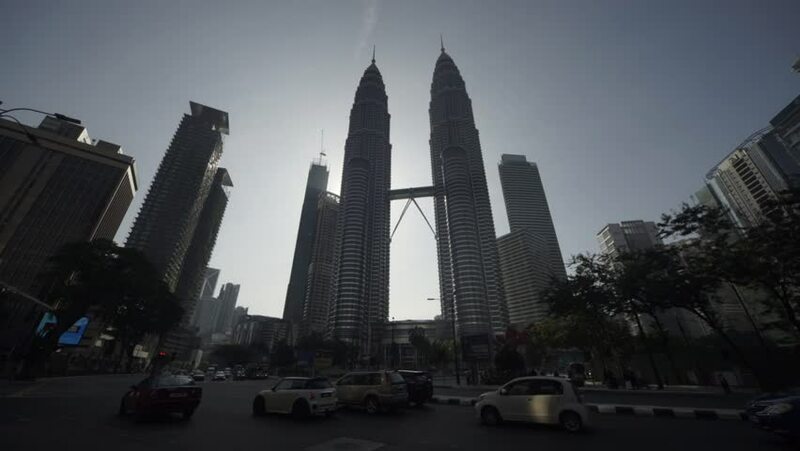 KUALA LUMPUR - JANUARY 6: (Hyperlapse view) Traffic and pedestrians near The Petronas Towers on January 6, 2018 in Kuala Lumpur, Malaysia. hd00:07KUALA LUMPUR - JANUARY 6: (Hyperlapse view) Traffic and pedestrians near The Petronas Towers on January 6, 2018 in Kuala Lumpur, Malaysia. hd00:20KUALA LUMPUR, MALAYSIA - FEBRUARY 15 2014: Static shot of Petronas Twin Towers outlined against the sky in Kuala Lumpur. The Petronas Twin Towers are currently the world's tallest twin buildings. 4k00:10Clouds passing over modern and old buildings in London. 4k00:53BEIJING, CHINA - SEPTEMBER 5 , 2016. Cityscapes of Beijing. Skyscrapers in business district of the city. 4k00:11Kuala Lumpur, Malaysia - July 7, 2018: 4k b-roll cinematic footage of Petronas twin towers KLCC at blue hour sunset sky in Kuala Lumpur with the most luxury hotel in Malaysia, Four Seasons Hotel.